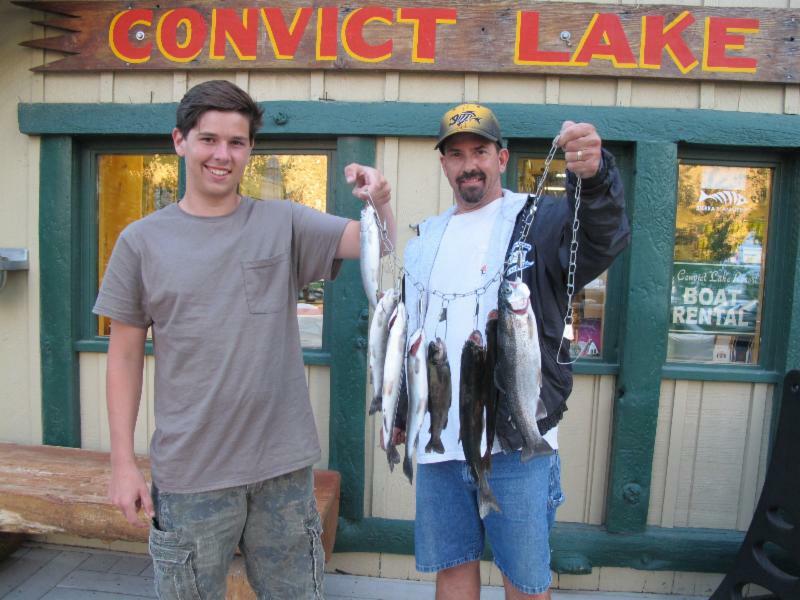 Congratulations to Shebly Rosell from Brea, CA with a whopper pulled from Convict Lake. 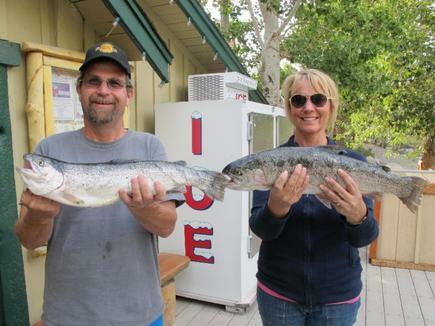 She was using a Power Worm when she scored this stout 4 pound 12 ounce rainbow. Great job Shebly! 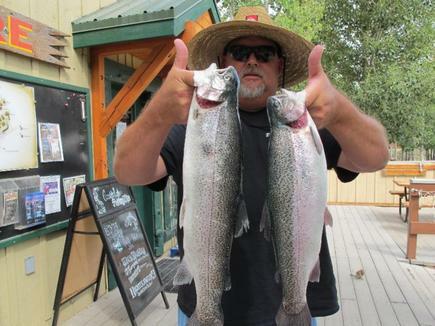 Pete Rosell also with a nice fish. Pete hooked a 3 pound 15 ounce rainbow. The water levels in the creek hasn't hurt the fishing to date. 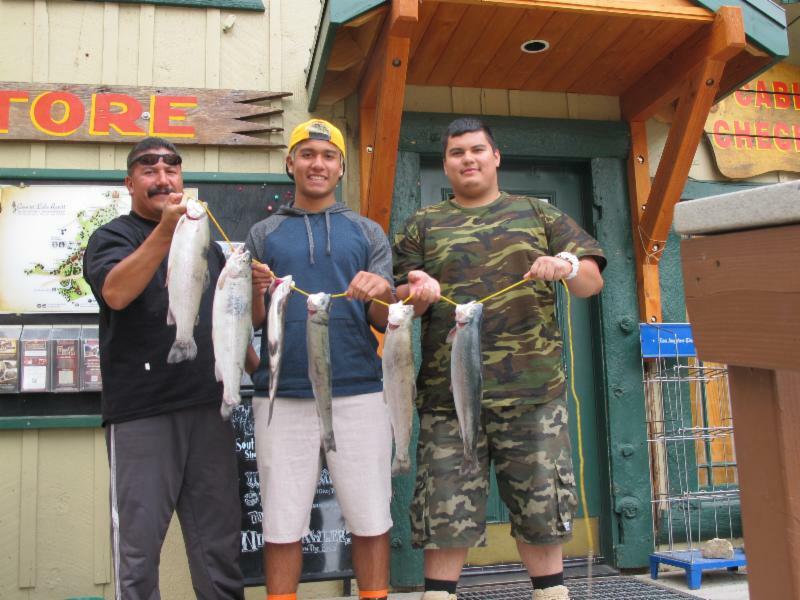 DFG is still stocking and a 2 pounder was caught out of it this week by Cade Castillo from Menifee, CA. Getting out on a boat and trolling will definitely increase your odds. Trolling has continued to produce some nice fish over the last few weeks. Use a Needlefish,Tasmanian Devils or Marvel Fly Lures. Needlefish was the hot lure this week. The most successful Powerbait color was salmon. Chunky Cheese Garlic is always a deathly choice. The South Shore and Inlet were the hottest spots once again this week. Other locations fishing well were the North Shore and Hangman Tree location. 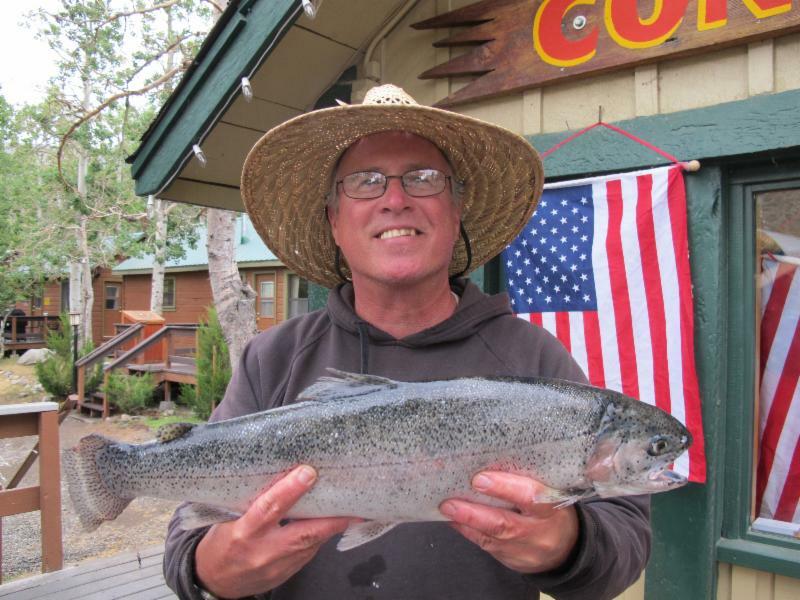 Sierra Slammers, Tasmanian Devil, Green or brown Marvel Fly Lures, Trout Teasers, Panther Martin, NeedleFish, Rooster Tails, and Bite-on Fury Shad or Lip Ripperz Hatchery Dust on Powerbait.